Autopathy (sometimes also called autoisopathy) is a special and little-known method of holistic healing which has developed out of the two hundred year old tradition of homeopathy. In essence it consists of using the homeopathically highly-diluted saliva of the person who is being treated. Drawing on the author's experience of many clinical cases, the book profiles this remarkable method for dealing with chronic (from a conventional point of view incurable) complaints, and records its outstanding results. There are about twenty case histories involving long-term, chronic ailments and illnesses which have been cured or markedly improved by autopathy. The book also explains the principles and details of undertaking autopathic self-healing by oneself, as well as how to reliably produce an autopathic preparation at home. 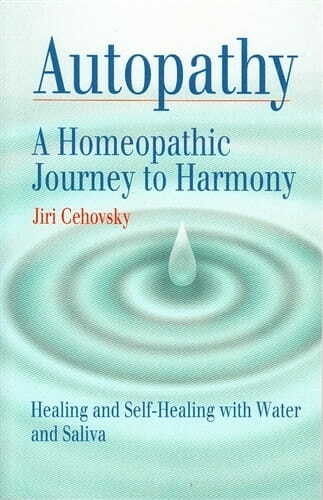 Jiri Cehovsky (born 1947) has practiced classical homeopathy for 26 years. He is the director of the Homeopathic Academy in Prague, where he also lectures. Since 2003, he has organised special seminars on autopathy.